The iPhone XR isn’t that. In the context of yesterday’s event, the handset is an also ran. It’s lower-powered, with a single camera and lower-resolution screen that stirred up criticism amongst display enthusiasts online. It’s also precisely the phone the company needed to make — and Apple’s going to sell a crapload of them as a result. In fact, I wouldn’t be too surprised to see this entry-level device outsell both of its premium brethren. Over the last 24 hours, a number of folks have asked me which phone they should buy. The answer varies from person to person, of course, but for the majority, the XR simply makes the most sense. It is, as I wrote in my hands-on yesterday, the iPhone X for the rest of us. Last year’s 10th anniversary handset pushed the limits of the iPhone, with regard to underlying technology, design and budget. It represented what was arguably the biggest leap for the line since the introduction of the App Store way back in 2008, while helping to break on the $1,000 smartphone. 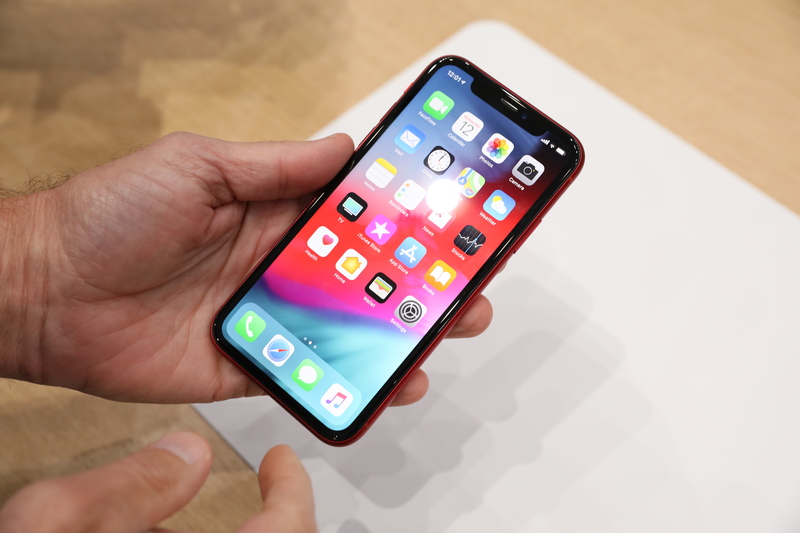 We all knew things were heading that way, and companies like Samsung certainly gave Apple a run for its money, but the iPhone X really tested the limits of what consumers are willing to spend on a smartphone. Initial sales reports were less than ideal for the phone, though a much pricier phone meant, naturally, that Apple had to sell fewer to hit the same bottom line. But Apple isn’t Vertu. Actually getting the product into consumers’ hands is an equally important aspect of selling a new phone. Early reports had the company eye a return to the LCD as a way of offsetting the phone’s cost in order to appeal to a broader audience. As The Wall Street Journal put it back in June, demand “is likely to be slower than many in the industry believed a year ago, when the iPhone maker was preparing its first OLED smartphone.” For Apple, a return to the LCD likely felt like a step backward after releasing its most forward-looking phone. But while such things do matter to some, technology refreshes are more often driven by the desire to stay a step ahead of the competition than they are consumer demand. And while having the highest resolution screen possible would certainly be nice, it’s not necessarily $1,000 worth of nice. The iPhone XR represents a more balanced approach for Apple. But atop the foundation of the iPhone X, the handset manages to be relatively reasonably priced without being the sort of relic the iPhone 8 felt like it was announced alongside the X. The XR is the populist iPhone. The iPhone for the people. I’ve been calling it the iPod Mini of iPhones and Matt Burns has been saying it’s the iBook, but the point stands. It’s a cheaper, more colorful alternative. At least one of our co-workers has been obsessing slightly over which color to get. At $749, it’s not cheap, but compared to the XS and XS Max (starting at $999 and $1,099, respectively), it’s a relative bargain, and most of the missing features won’t have an impact on the day to day use of an average user. Heck, even the single lens camera has learned to approximate portrait mode to further cushion the blow. If I were in the market for a new iPhone, I’d almost certainly go the XR route. Listen, I’m a tech blogger living in New York City. I have a pet rabbit to feed. Do you think rabbit food grows on trees (I mean, technically it does, but you get the point). If you’re a prospective iPhone buyer, you’re probably in the same boat. The XR’s the way to go, and Apple’s going to sell a ton of the things.